Added by Stasia Bliss on May 29, 2013. If you are really interested in gaining super-human abilities, confirmed by reputable organizations like NASA, as the ones mentioned above, sun gazing sounds like a fairly straightforward path to enlightenment. 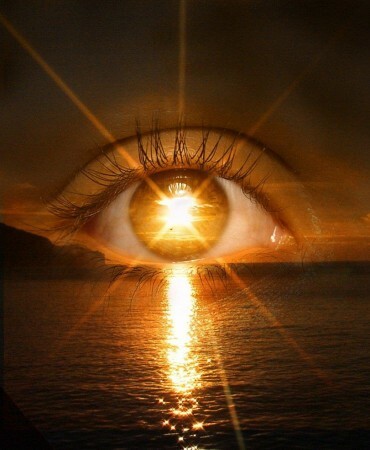 To find out more about sun-gazing and how others have done it, visit the website on Sun-Gazing. For part one of the amazing Sun-Gazing documentary, check out the video below. Over 56% of beach and sport sunscreens contain the chemical oxybenzone (stated by the Environmental Working Group). Oxybenzone functions to absorb ultraviolet light, however it can also be absorbed through the skin. This chemical has been linked to hormone disruption and cell damage that may lead to skin cancer. Other chemicals in conventional sunscreen products range from cancer-causing fragrance chemicals, parabens, alcohols, toxic chemical solvents and petroleum oils. Putting sunscreen on your body is like spreading a chemical concoction over your largest organ – the skin. With summer upon us and the sun shining, the topic of Vitamin D, sun exposure, sun tanning, and sunscreen use keep popping up. Typically by this point of the year we begin to see “news” articles popping up, telling us of the devil of the sun, to avoid the sun if possible and the need to cover ourselves in sunscreen at all times. Yet Vitamin D – specifically, LOW levels of Vitamin D – have been directly linked now with over 100 diseases, including no less than 16 cancers. And what is the number one source for humans for Vitamin D? Made in our bodies via sun exposure to UVB radiation. Due to a mix of modern lifestyles, living latitudes, and the “conventional advice”, I feel very strongly that most people are getting insufficient exposure to sunlight, the ultimate source of Vitamin D in our lives, for both health and happiness. Facebook reader: Some of us burn in the sun (versus tan), which can lead to skin cancer. Confusion on this topic abounds. They are both right, and yet they are both wrong. So what is it….. Ditch the sunscreen? Lather up? In the sun? Out? What to dooooo? Here is the Kiwi two cents on this one. Let’s look at the three big things people are trying to avoid when they think of sunshine time and sunscreen, or not. Let’s cover off skin cancer first; by far the biggest issue of the three. SCC and BCC are both pretty well correlated to sunshine exposure, particularly UVB exposure. Almost always occurring in areas with the largest amount of sun exposure (face, back of hands, neck, ears) they account for nearly 90% of total “skin cancer” – yet are responsible for about 10% of cancer deaths. This is partly because they tend to not be particularly aggressive cancers – are indeed frequently benign – but also because they can typically be detected early and easily removed via a simple out-patient procedure. Not fun, but not as bad as the one below, melanoma. It should be noted that sunscreen has indeed been found to correlate with decreased SCC, with BCC shows very mixed results. The nasty malignant melanoma (CCM) on the other hand causes 90% of the deaths related to skin cancer. This cancer has the ability to metastasize (spread) and is frequently undetected until late. That is a tragic combination. It should be noted here that melanoma most commonly occurs on areas of the body that do not typically receive regular sun exposure. When most people are tailing about avoiding “skin cancer”, they are referring to malignant melanoma. Because most of us know someone who has had melanoma, and thus this is potentially pretty charged, I decided to include all reference links below. My wonderful Aunty Lynn died of malignant melanoma in 2004. Thinking about melanoma is a pretty personal deal to me, and I have AVOIDED the use of sunscreen for nearly 10 years. For the facts behind why I chose to do this, read on. Most Doctors and government agencies the western world over advise people to use sunscreen to reduce their risk of skin cancer, particularly nasty CMM. Despite this promotion of sunscreen and its constant availability, the incidence of CMM rose 81% between 1973 and 2003 in the USA, and continues to rise at 3% a year. The same study I pulled that one out of noted “There currently is little evidence that sunscreens are protective against CMM”. No kidding. So we have CMM rates increasing, studies showing that sunscreen doesn’t help and may even be harmful. Is that what you think you when you look at all the ads devoted to sunscreen and decide to incorporate the “slap on some sunscreen” approach to skin cancer prevention? How about we add some paper to the fire and talk about sun exposure and melanoma …. 1. A 2005 study published in the Journal of the National Cancer Institute (JNCI) looked at the link between sun exposure and mortality from melanoma. This study, conducted over five years, concluded that frequent exposure to sunlight resulted in a 50% reduction in mortality rates from melanoma. Yes, 50% REDUCTION in mortality rates. Rates of incidence of melanoma are not increasing in outdoor workers yet have been increasing in indoor workers steadily since 1940. If it was sunshine that was causing the melanoma, this would hardly be the case now would it? To get a better idea we need to quickly look at the ultraviolet radiation (UV) present in sunlight. For the people falling asleep already, I promise to get to some recommendations before the end of the post. There are two types of radiation most prevalent in sunlight, UVA and UVB. For years, researchers and sunscreens focused on UVB, and blocking it. That is because UVB was thought to be the primary causative agent of of all skin cancers via direct DNA damage. This is also the one that makes you feel like you are “burning” when you get enough of it. To me burning = natural alarm system. We will return to that. Back to UVB. When you look at the SPF protection on your sunscreen label, they are referring to UVB. UVA is not covered in this. Some of the newest sunscreens do now include some UVA blocking protection, but a review of the UVA and sunscreens has shown that even the very best ones block only 25% of the UVA. (This best result was achieved using Titanium Dioxide, a potential carcinogen in itself). So what is the deal with UVA? It may not smash your DNA directly like UVB has the potential to do but it would appear that UVA can cause havoc to the DNA via oxidative stress and degradation of Vitamin D, UVA exposure in the absence of UVB being highly correlated to increased melanoma risk. Oooohhh. Vitamin D! We are back! I thought I would never get there. It is important that you note that Vitamin D is made by our bodies from skin exposure to….. drums please…. 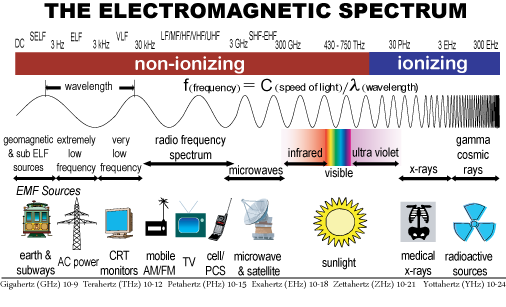 UVB radiation from the sun. Yep, those sunscreens are designed to block UVB, and if you don’t get enough UVB in your life, you don’t get to make Vitamin D.
That means you are either stuck with Vitamin D from foods (found in small quantities in liver, fatty fish, eggs) but those are tiny amounts, or relying on supplementation. You might wonder why as a spokesperson for a supplement company I don’t jump up and down about you taking our Vitamin D more. This is because while we do think that supplementation is a long way better than nothing, supplementation is a very distant second to sunshine on the skin. Want more Vitamin D in your life, and all the immuno-protecting, cell-regulating benefits that go with it? The SUN is by far your best option. So lets talk then about why sunscreens not only do not protect against melanoma, and my actually increase your risk of it. 1. Sunscreens block UVB rays, the ones that we need to make Vitamin D – in other words, block the bodies natural defense mechanism AGAINST many cancers, including melanoma, while allowing IN the UVA, which can increase your risk for melanoma. This is a bad plan for success. 2. By blocking UVB rays, we stop or delay the “burning” response, our bodies’ natural alarm system for too much sun exposure. Thereby allowing us to stay out in the sun longer than our body wants to. The “I’ve had enough UV radiation” natural alarm override – this is a bad plan for success. When the fire alarm goes off after sensing smoke from a fire in your house, do you put on some ear plugs so you can stay in the house longer? 3. Improved sense of confidence in sun burning time – resulting in a false sense of confidence, resulting in us prolonging our time spent in the sun. Use of sunscreen results in INCREASED incidence of sunburn. More than 66% of sunburned people in one study had used sunscreen to prolong their time in the sun. And the most likely to use sunscreen are those whose skin is most likely to burn, with sunscreen taken to increase time in the sun without “sunburn” – the highest risk category. The Kiwi One-Liner On The Sunscreen Approach: Let’s let in the rays that can cause melanoma, block the ones that make Vitamin D which can help protect us (in people who due to modern lifestyles frequently have low levels of cancer protecting vitamin D to begin with), extend our time in those rays beyond our bodies natural tolerance and in ratios of UVA to UVB that are alien to our chemistry, and rub a host of chemicals into our skin that we sure as hell wouldn’t want our children to eat. If this sounds like a good plan to you, stick to it. Personally, I think it is crap. After a summary of the studies relating to melanoma, it would appear that people who go into the sun rarely, yet when they do get sunburned, are by far the highest risk for melanoma. I think their hypothesis is pretty much on the money based on everything out there right now. So what is the prescription for sunshine success. The long version: Finding your own unique middle ground where you are getting adequate cutaneous vitamin D status without increasing your risk to develop UV-induced skin cancer and in line with your own skin pigment, lifestyle, and climate considerations. Consider that for the bulk of human evolution, humans were in equatorial regions. What do people look like who come from those regions? Plenty of melanin, darker skin, less risk of melanoma, harder to burn but likely a much higher need for total sun exposure to ensure adequate vitamin D status. Over generations of folks drifting northwards in Europe, whiter, more sun sensitive skin was naturally selected for. With less melanin in the skin (which by the way, you can alter upwards with plenty of sun exposure, known as “tanning”) sun rays came pounding into the skin, and people could synthesize more Vitamin D off of less sunlight. They also tend to burn more quickly. Cutaneous levels of melanin adjust upwards in response to frequent response to sun exposure. This increases time to burn generally in line with skin color. It should be noted that the individual variation in the optimal amount of sun exposure varies dramatically by genetics, lifestyle, and climate. Soooooo, if you are of Sub-Saharan African descent and living in Alaska – you are probably going to need a lot of time outdoors to get anywhere near enough cutaneous Vitamin D. Burning is going to be the least of of your worries. And, if you are a red-haired pale-skinned Scottish descent living in Rio de Janeiro, you will need to cover up or seek shade pretty quickly, especially in the summer months. But don’t AVOID the sun, just be smart about it. Over time, your ability to stay out in the sun will increase slightly with the increased melanin production, thereby decreasing your risk of sunburn. 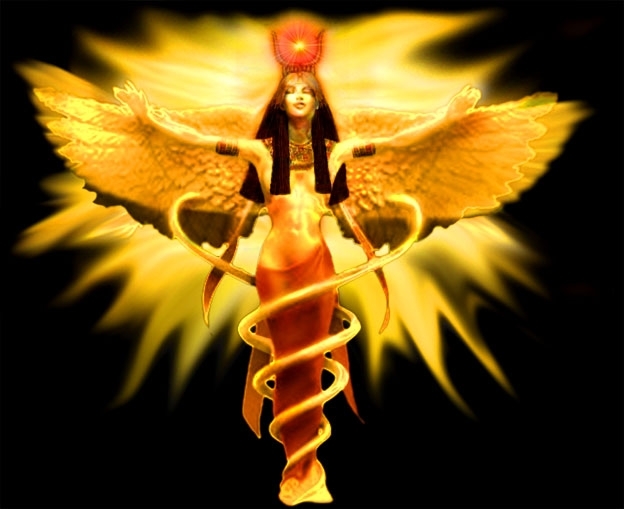 Remember, it is sunBURN that is the enemy, not sunSHINE. Both cause aging. My experience with people who have sought the sun in intelligent, consistent incremental doses throughout their lives has tended to be a golden glow, which I find attractive. This is a personal preference, so your call on how much time you spend out in the sun each day. Excessive time in the sun WILL age your skin faster. For those with fair skin and obsessively worried about sun related aging, the trick will be getting in enough and then leaving the sun immediately. At a guestimate, if you are very fair skinned then building up to just 20 minutes a day total in summer may be more than enough to satisfy Vitamin D requirements. Do this in four doses of 5 minutes and the world is your oyster. Don’t forget all this will vary massively depending on genetics, lifestyle and climate. If playing sunshine minimalist for whatever reason I absolutely recommend you get your vitamin d levels checked to make sure you are not on the low level. A lot of fuss has been made about whether or not sunscreens have toxic properties. The two ingredients most people jump up and down about are Octyl Methoxycinnamate (OMC) and Titanium Dioxide. OMC, a chemical compound present in 90% or more of commercially available sunscreens, can potentially damage tissues if it penetrates past the dead dermal layer of your skin. I personally think this is highly likely. Titanium dioxide, mentioned earlier, a popular (and so far, highest efficacy) ingredient used to block UVA rays, can block up to 25% of UVA rays but can cause an increase in cancer in mice via DNA damage, oxidative stress, and an increase in pro-inflammatory cytokines. That said, mice are mice, people are people. “When dealing with chemicals, if you wouldn’t EAT it, or feed it to your children, then don’t sniff it, taste it, or touch it with any part of your skin”. Obviously you will make your own call on this. 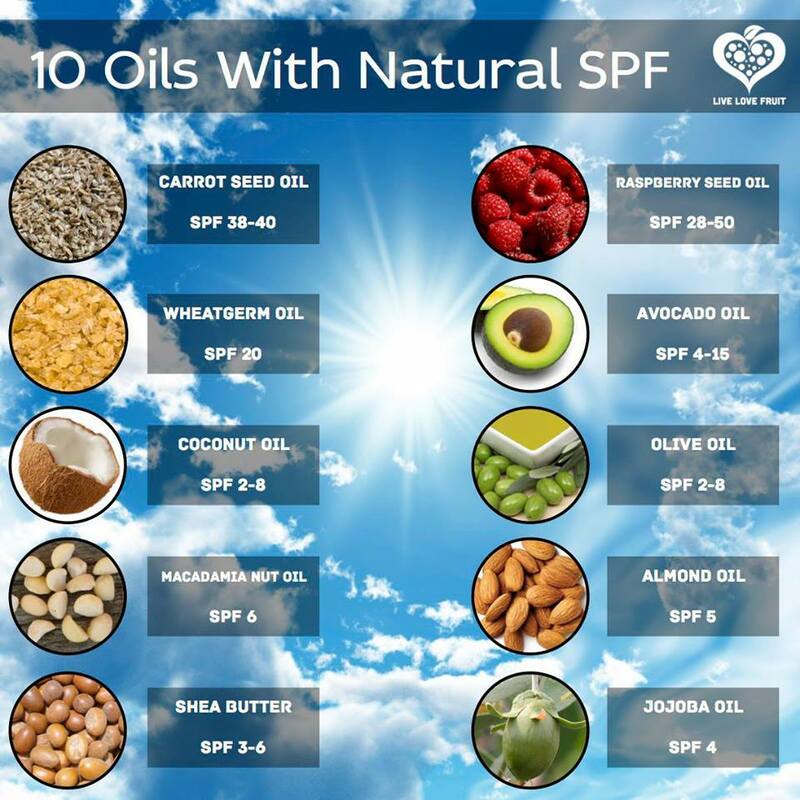 Since the only reason to take sunscreen is to extend your time under the sun beyond what you think your body can do naturally without burning or aging effects, and sunscreens block UVB and therefore Vitamin D and may in fact be toxic, my take on sunscreen….. is to skip it. Some will chase “natural” sunscreens, but again over to you on how you want to play with that one, but if women especially want to put a small amount of sunscreen in sensitive places like the sides of their eyes, I am not going to judge you. Me? The sun I seek, I am the opposite of a minimalist when it comes to sun exposure. I feel beter, more relaxed, more energetic, and getting outdoors in the sun makes me happy. I am also pretty olive skinned, when I have had enough, I skip the sunscreen, instead cover up or go for shade, just like my ancestors did. Seek incremental sun exposure. Start with short doses, of 10 minutes each, before 11am and after 4pm each day if fair skinned in summer. You will quickly build a tolerance and can extend your time in the sun as desired. Once your sun dosage is done for the day/period, seek shade or cover up. If you choose to continue your time in the sun, covering up is superior to sunscreen. The same rules apply to your kids! I also recommend you keep your anti-oxidant coverage right up via smart nutritional choices to assist in protection against excessive oxidative stress. As always, if you are eating according to my food quality guidelines in the Food for Fat Loss series, then you are avoiding pro-inflammatory n6:n3 loads, gut damage and inflammation, and nasty metabolic byproducts of poor insulin metabolism. It is highly recommended that you eat this way, or something very similar. Always avoid sunburn, but for health and happiness I would much rather you had a tiny bit too much sun, than too little. I haven’t been burned in years. Food has something to do with it, but so does my sun hat. Take it away mate, I hope you enjoy your adventures in the sun this weekend. Enjoying some intelligent sun exposure will make you happy, I guarantee it. That is my mantra, and it starts with phenomenal health. Trouiller B, Reliene R, Westbrook A, Solaimani P, Schiestl RH. Titanium Dioxide Nanoparticles Induce DNA Damage and Genetic Instability In Vivo In Mice. Cancer Res. 2009 Nov 15; 69(22):8784-9. Epub 2009 Nov 3. PubMed PMID: 19887611. Godar DE, Landry RJ, Lucas AD. Increased UVA Exposures and Decreased Cutaneous Vitamin D(3) Levels May Be Responsible For The Increasing Incidence Of Melanoma. Med Hypotheses. 2009 Apr; 72(4):434-43. Epub 2009 Jan 19. Grant WB. Ultraviolet Exposure and Non-Hodgkin’s Lymphoma: Beneficial and Adverse Effects? Cancer Causes Control. 2012 Apr; 23(4):653-5; author reply 657-8. Epub 2012 Feb 26. PubMed PMID: 22367726. Grant WB. Vitamin D: Evidence and Controversies: Comment on the Article by Gilaberte et al. Actas Dermosifiliogr. 2012 Apr 11. [Epub ahead of print] English, Spanish. PubMed PMID: 22502819. Matsuoka LY, Ide L, Wortsman J, MacLaughlin JA, Holick MF. Sunscreens Suppress Cutaneous Vitamin D3 synthesis. J Clin Endocrinol Metab. 1987 Jun; 64(6):1165-8.PubMed PMID: 3033008. Stechschulte SA, Kirsner RS, Federman DG. Sunscreens For Non-Dermatologists: What You Should Know When Counseling Patients. Postgrad Med. 2011 Jul; 123(4):160-7. Review. PubMed PMID: 2168100. Ries LAG, Harkins D, Krapcho M, et al. (eds). SEER Cancer Statistics Review, 1975 2003. Huncharek M, Kupelnick B. Use Of Topical Sunscreens and The Risk Of Malignant Melanoma: A Meta-Analysis Of 9067 Patients From 11 Case-Control Studies. Am J Public Health 2002; 92(7):1173–7. Wolf P, Quehenberger F, Müllegger R, Stranz B, Kerl H. Phenotypic Markers, Sunlight-Related Factors and Sunscreen Use In Patients With Cutaneous Melanoma: An Austrian Case-Control Study. Melanoma Res1998; 8(4):370–8. Gorham ED, Mohr SB, Garland CF, Chaplin G, Garland FC. Do Sunscreens Increase Risk Of Melanoma In Populations Residing At Higher Latitudes? Ann Epidemiol 2007; 17(12):956–63. Radespiel-Tröger M, Meyer M, Pfahlberg A, Lausen B, Uter W, Gefeller O. Outdoor Work And Skin Cancer Incidence: A Registry-Based Study In Bavaria. Int Arch Occup Environ Health 2009; 82(3):357–63. Rodvall YE, Wahlgren CF, Ullén HT, Wiklund KE. Factors Related To Being Sunburnt In 7-Year-Old Children In Sweden. Eur J Cancer 2010; 46(3):566–72. Autier P, Boniol M, Doré JF. Sunscreen Use And Increased Duration Of Intentional Sun Exposure: Still A Burning Issue. Int J Cancer 2007; 121(1):1–5. Køster B, Thorgaard C, Philip A, Clemmensen IH. Prevalence Of Sunburn and Sun-Related Behaviour In The Danish Population: A Cross-Sectional Study. Scand J Public Health 2010; 38(5):548–52. U.S. Department of Health and Human Services, Public Health Service, National Toxicology Program. Report On Carcinogens, 12th edition. Garland CF, Garland FC, Gorham ED. Epidemiologic Evidence For Different Roles Of Ultraviolet A and B Radiation In Melanoma Mortality Rates. Ann Epidemiol 2003; 13(6):395–404. Berking C. The Role Of Ultraviolet Irradiation In Malignant Melanoma. Hautarzt 2005; 56(7):687–96, quiz 697. Situm M, Buljan M, Buli? SO, Simi? D. The Mechanisms Of UV Radiation In The Development Of Malignant Melanoma. Coll Antropol 2007; 31(Suppl 1):13–6. Garland CF, Garland FC, Gorham ED. Rising Trends In Melanoma. An Hypothesis Is Concerning Sunscreen Effectiveness. Ann Epidemiol 2007; 3(1):103–10. Wischermann K, Popp S, Moshir S, et al. UVA Radiation Causes DNA Strand Breaks, Chromosomal Aberrations And Tumorigenic Transformation In HaCaT Skin Keratinocytes. Oncogene 2008; 17;27(31):4269–80. Godar DE, Landry RJ, Lucas AD. Increased UVA Exposures And Decreased Cutaneous Vitamin D(3) Levels May Be Responsible For The Increasing Incidence Of Melanoma. Med Hypotheses 2009; 72(4):434–43. Lazovich D, Vogel RI, Berwick M, Weinstock MA, Anderson KE,Warshaw EM. Indoor Tanning And Risk Of Melanoma: A Case-Control Study In A Highly Exposed Population. Cancer Epidemiol Biomarkers Prev 2010; 19(6):1557–68. International Agency For Research On Cancer Working Group On Artificial Ultraviolet (UV) Light And Skin Cancer. The Association Of Use Of Sunbeds With Cutaneous Malignant Melanoma And Other Skin Cancers: A Systematic Review. Int J Cancer 2007; 120(5):1116–22. Gerber B, Mathys P, Moser M, Bressoud D, Braun Fahrländer C. Ultraviolet Emission Spectra Of Sunbeds. Photochem Photobiol 2002; 76(6):664–8. Couteau C, El-Boury S, Paparis E, Sébille-Rivain V, Coiffard LJ. In Vitro UV-A Protection Factor (PF-UVA) Of Organic and Inorganic Sunscreens. Pharm Dev Technol 2009; 14(4):369–72. Green A, Williams G, Neale R, et al. Daily Sunscreen Application and Beta-Carotene Supplementation In Prevention Of Basal-Cell and Squamous-Cell Carcinomas Of The Skin: A Randomized Controlled Trial. Lancet 1999; 354(9180):723–9. Ulrich C, Jürgensen JS, Degen A, et al. Prevention Of Non-Melanoma Skin Cancer In Organ Transplant Patients By Regular Use Of A Sunscreen: A 24 Months, Prospective, Case-Control Study. Br J Dermatol 2009; 161(Suppl 3):78–84. Kütting B, Drexler H. UV-Induced Skin Cancer At Workplace And Evidence-Based Prevention. Int Arch Occup Environ Health 2010; 83:843–54. Centers For Disease Control and Prevention, National Program Of Cancer Registries. United States Cancer Statistics. 2003–2007, Melanomas Of The Skin, United States. Kaskel P, Sander S, Kron M, Kind P, Peter RU, Krähn G. Outdoor Activities In Childhood: A Protective Factor For Cutaneous Melanoma? Results Of A Case-Control Study In 271 Matched Pairs. Br J Dermatol 2001; 145(4):602–9. Moan J, Dahlback A, Setlow RB. Epidemiological Support For An Hypothesis For Melanoma Induction Indicating A Role For UVA Radiation. Photochem Photobiol 1999; 70(2):243–7. Newton-Bishop JA, Chang YM, Elliott F, et al. Relationship Between Sun Exposure and Melanoma Risk For Tumours In Different Body Sites In A Large Case-Control Study In A Temperate Climate. Eur J Cancer 2011; 47(5):732–41. Chang YM, Barrett JH, Bishop DT, et al. Sun Exposure and Melanoma Risk At Different Latitudes: A Pooled Analysis Of 5700 Cases and 7216 Controls. Int J Epidemiol 2009; 38(3):814–30. Green AC, Williams GM, Logan V, Strutton GM. Reduced Melanoma After Regular Sunscreen Use: Randomized Trial Follow-Up. J Clin Oncol2011; 29(3):257–63. Spradlin K, Bass M, Hyman W, Keathley R. Skin Cancer: Knowledge, Behaviors, and Attitudes Of College Students. South Med J2010; 103(10):999–1003. Geller AC, Brooks DR, Colditz GA, Koh HK, Frazier AL. Sun Protection Practices Among Offspring Of Women With Personal Or Family History Of Skin Cancer. Pediatrics 2006; 117(4):e688–94. Robinson JK, Bigby M. Prevention Of Melanoma With Regular Sunscreen Use. JAMA 2011; 306(3):302–3. Burnett ME, Wang SQ. Current Sunscreen Controversies: A Critical Review. Photodermatol Photoimmunol Photomed 2011; 27(2):58–67. Bränström R, Kasparian NA, Chang YM, et al. 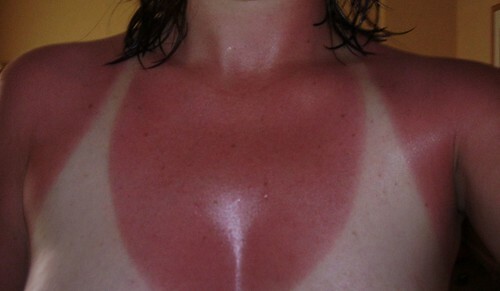 Predictors Of Sun Protection Behaviors and Severe Sunburn In An International Online Study. Cancer Epidemiol Biomarkers, Prev 2010; 19(9):2199–210. Gambichler T, Altmeyer P, Hoffmann K. Role Of Clothes In Sun Protection. Recent Results Cancer Res 2002; 160:15–25. Wolska A, Owczarek G, Bartkowiak G. UV Protective Textile Clothing For Workers Exposed To Natural and Artificial UV Radiation. Conf Proc IEEE Eng Med Biol Soc 2010; 2010:6260–3. So named because he comes from a little country in the Pacific called New Zealand where a small, fat, quasi-blind, and largely defenseless bird by the name of “Kiwi” is the national animal, and what we are called when we land in other countries. He is focused on using what he can remember from his studies for a BSc in Sport and Exercise Science and his cumulative years as a nutritionist and strength coach to help other people enjoy amazing levels of health and energy. He enjoys ticking through his list of life goals and meeting new people. Why does the article have ‘NASA” as the first word in the Title, claiming results of a study, and then have no mention or reference to the supposed study in the references section?